You may also want to visit our Facebook page. This table is kept scrupulously updated. 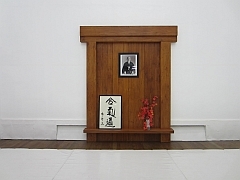 How to register: We are very non-bureaucratic; we strive to keep things simple. 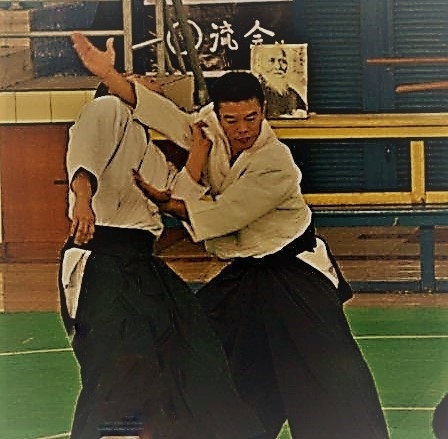 To register, simply show up 15 minutes before any scheduled class and introduce yourself to the instructor or to anyone who appears to know his way around. They'll take care of you from that point. That is all. Click here to download a printable PDF copy of the training schedule. Starting Tuesday, 2019 April 02, this class will cease meeting on Tuesdays, and will instead meet on Wednesdays. Starting on Wednesday, 2019 April 03, this class, formerly the Tuesday class, starts meeting every Wednesday. The above training schedule table is kept scrupulously updated. However, it goes without saying that no training is held on Christmas Eve; Christmas day; New Year's Day; Maundy Thursday through Easter Sunday; and All Saints' Day. On other holidays, training continues unless specifically cancelled. The MAC also observes a 30-plus-years tradition of training every New Year's Eve, from 1400 - 1600 hrs. 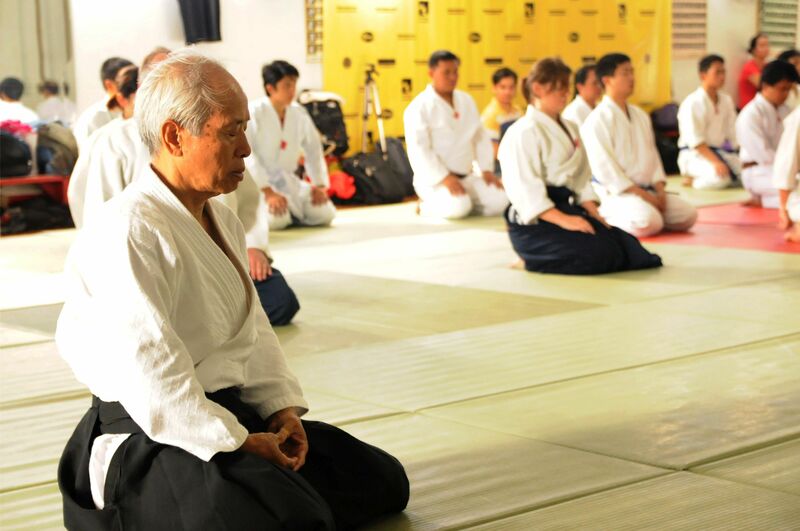 2014 September 20: Annual visit by Seiwa-Kai group This training session is cancelled. Follow the link for explanation. 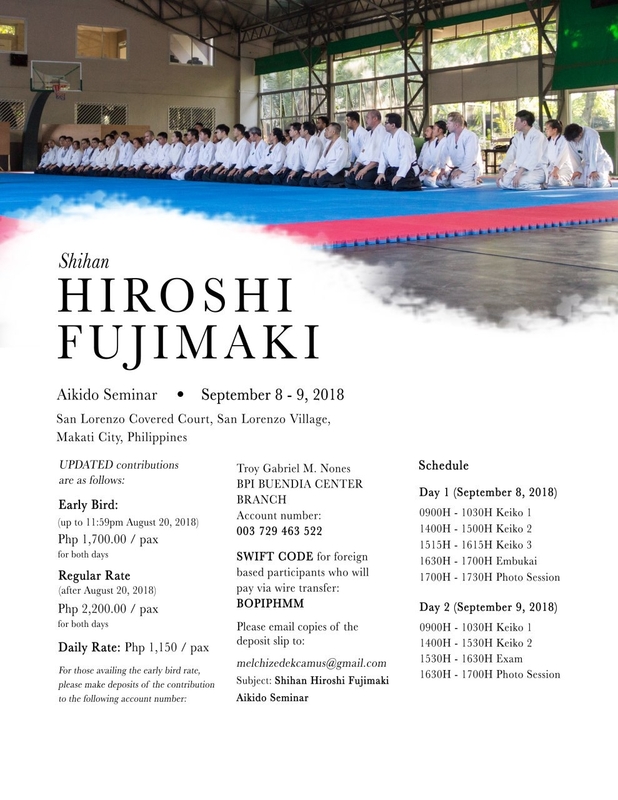 The three federations that organized the recent seminar of Waka Sensei issue a thank-you letter to all the participants who made it such a success. 2013 July 16 Ms. Narumol Thammapruksa, our aikido friend from Chiang Mai, Thailand, is a world traveler, educator, philanthropist, theater director, and actress. On July 16th, she performed in the world premiere of "The Demon Hero" in Bangkok. She kindly shared some interesting photos from the performance. 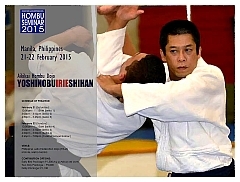 2011 December 03: 125th FFA monthly interclub practice at UAP (hosted by Jitsuyo Bugei Aikido Club). 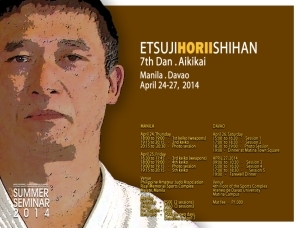 2011 November 05: 124th FFA monthly interclub practice at Kiryukan Dojo, Cubao. 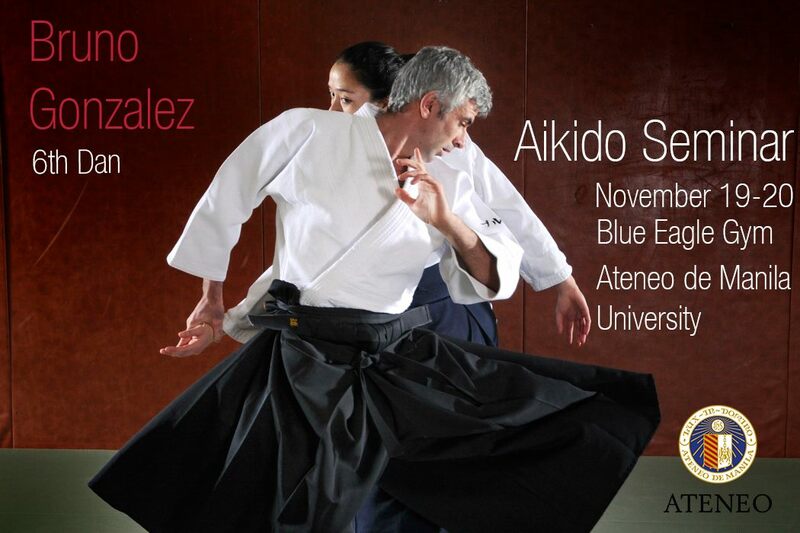 2011 October 01: 123d FFA monthly interclub practice (hosted by Makati Aikido Club). 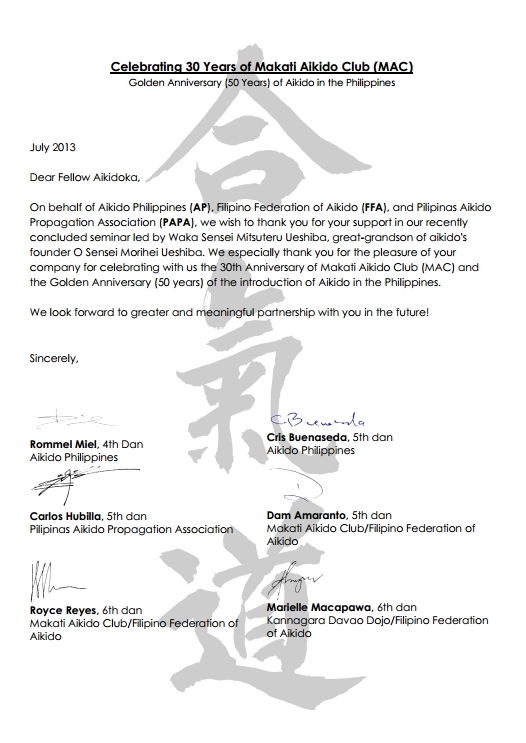 2011 August 06: 122d FFA monthly interclub practice (hosted by Tada- Juku Manila). 2011 July 02: 121st FFA monthly interclub practice (hosted by Jitsuyo Bugei Aikido Club). 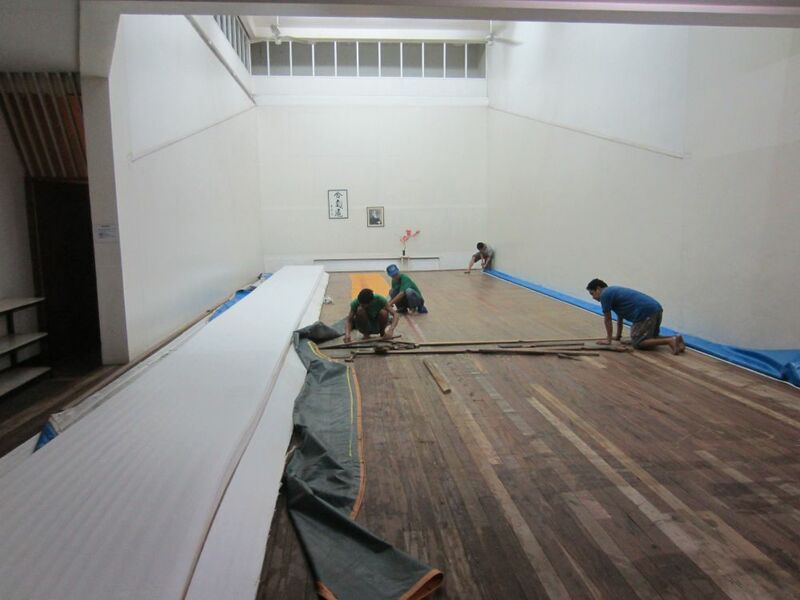 2011 April 25 to May 27: Makati City's SMART program for city youth. 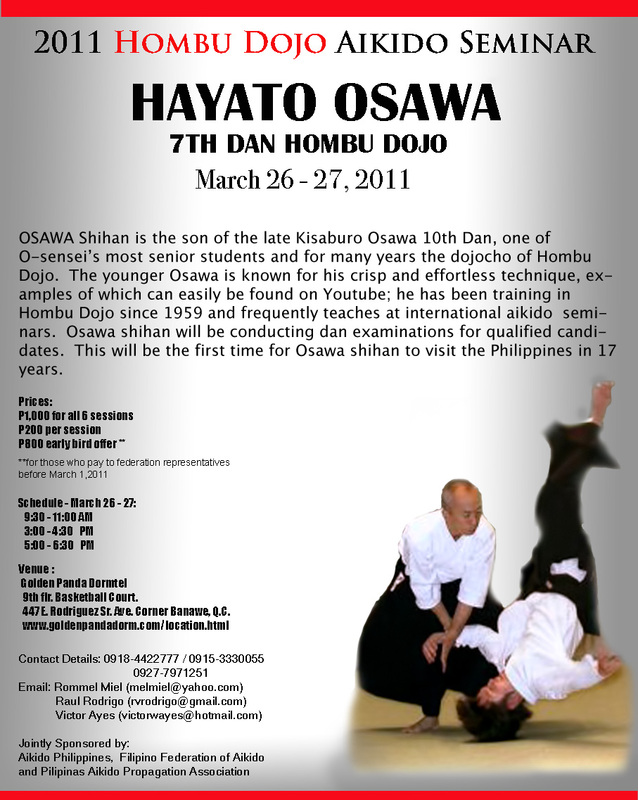 2011 May 07: 120th FFA monthly interclub practice at Kiryukan Dojo, Cubao. 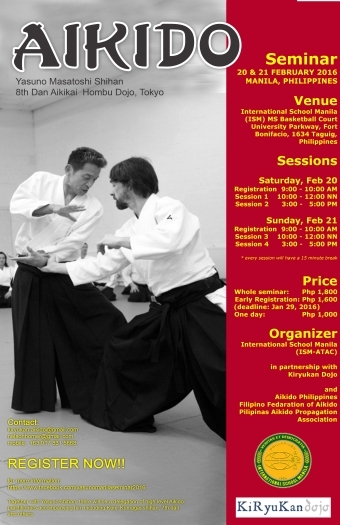 2011 January 08: 116th FFA monthly interclub practice at Kiryukan Dojo, Cubao. 2010 September 04: 112th FFA monthly interclub practice at Kiryukan Dojo, Cubao. 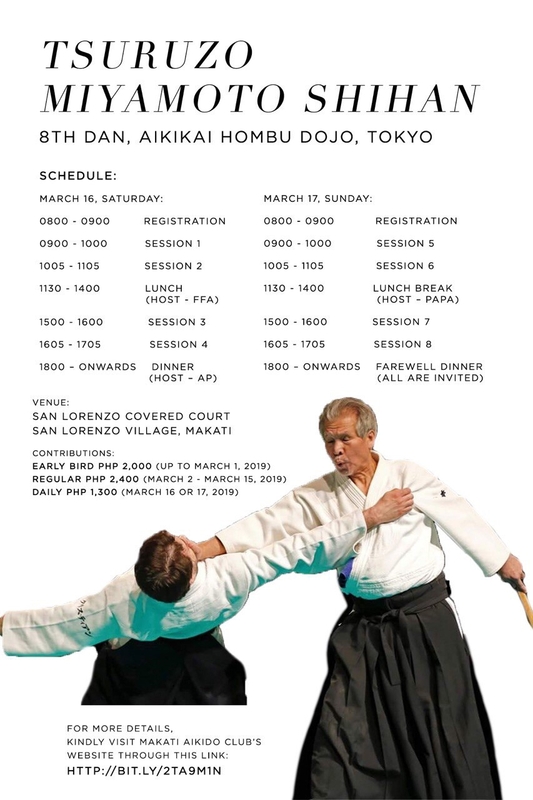 2010 May 08: 108th FFA monthly interclub practice at Kiryukan Dojo, Cubao. 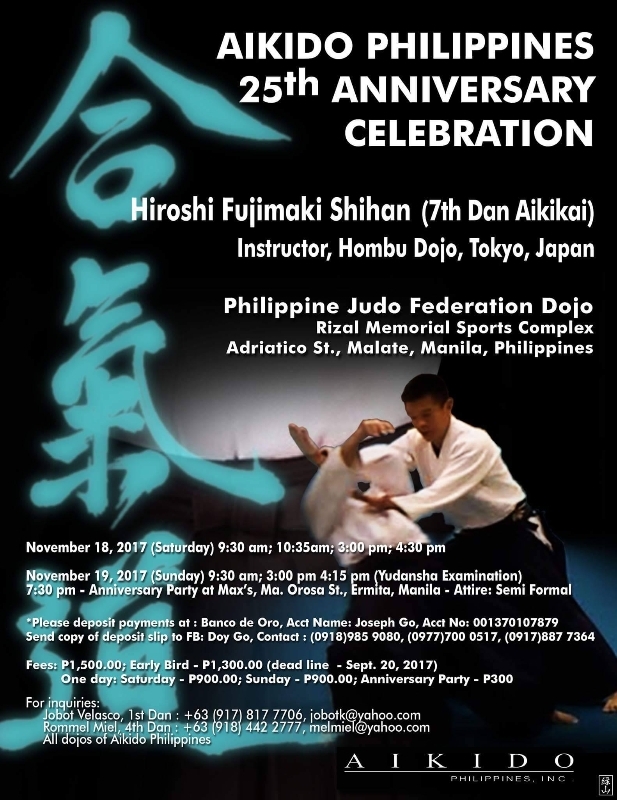 2009 December 12: 104th FFA monthly interclub practice at Kiryukan Dojo, Cubao. 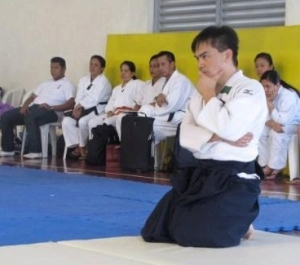 2009 August 08: 100th FFA monthly interclub practice at Kiryukan Dojo, Cubao. 2008 November 08: 91st FFA monthly interclub practice at Makati Sports Club (hosted by JBAC). 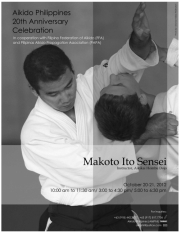 2008 November 07: "Motivating Your Students" seminar-workshop for Makati Aikido Club instructors and future instructors. 2008 October 31: Traditional Makati Aikido Club Halloween party. 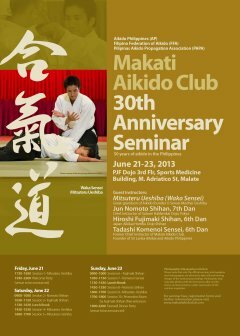 Except as specifically noted, this website and its content is copyright of Makati Aikido Club - © Makati Aikido Club 1983 - 2012 . All rights reserved.